Last night, GungHo NA/EU did a surprise release of numerous new evolutions for existing cards that now present players who own the cards to make some tough decisions as to which path they pursue. For the most part, these new evolutions follow a different path compared to the existing ones and you must choose either option A or B. For the most part, most of these paths are relatively balanced and it is up to you to decide whether or nor the new form is worth pursuing. This article will examine the pros and cons of the new forms compared to the existing evolutions to better help you decide which route to pursue. 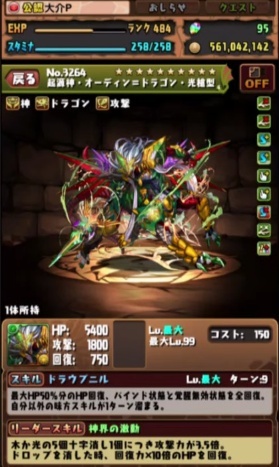 Puzzle and Dragons possesses one of the more complex evolution trees for video games as some monsters have convoluted paths. As part of the Version 11.1 patch (full review can be found HERE), new evolutions and balance changes/buffs are now live for some of your favourite monsters.